As often as you may associate coolers with occasions at a friend’s or relative’s house for a birthday party, graduation party or just a big sports game over the weekend, some ice chests are designed to deal with much harsher environments, particularly the outdoors. Some brands don’t have the options needed for those looking to go on a camping trip with their buddies in the Rocky Mountains and may encounter weather conditions and animals that you normally don’t deal with in the suburbs. Thankfully, Coleman Company focuses on making sure that you have the ice chest perfect for such a situation with its Xtreme cooler series. Specializing in outdoor recreational products, Coleman aims to provide ice chests that keep whatever you’re carrying with you through the woods, whether it’s a six-pack or some game you caught, in the right condition. 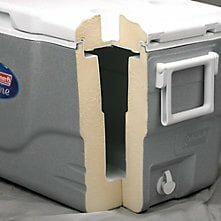 Its coolers, which we previously covered, are designed to keep your items cold for long enough to last for the whole trip, something that not all ice chest brands can do. You’ll also be presented with options on wheels in case you have a heavy load to carry, and those looking to support more American-made products will fall in love with this brand. Read on to fully understand how Coleman’s Xtreme cooler series will help make your experiences in the outdoors much more enjoyable. 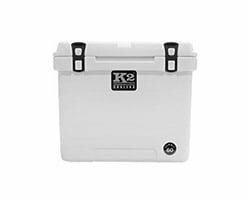 Coleman has two prominent versions of its ice chest available now for those who have an outdoor trip, road trip or sports game coming up, which take on the name of the Xtreme 5 and Xtreme 6. Both of these versions share an exterior that aims to keep them tough enough to deal with the worst of weather conditions that may put a damper on your fun time. Considering the size of the coolers that Coleman has to offer, in addition to the gravel roads and grassy fields that you’ll encounter in these situations, it’s smart of the company to add heavy-duty wheels and a large two handle to make moving them a piece of cake. In case you’re carrying light or have a friend with you, the two-way handles will serve as suitable substitutes. The hinged lid does more than just keep your items safe and secure inside the cooler, as it also comes with four cup holders so that you have a drink more easily accessible. This should come in handy when you feel like sitting down after a long day and don’t feel like getting up to open the cooler and grab a can of beer or soda. Draining the ice chest at the end of your occasion will also be an easy experience thanks to the coolers’ channel, which Coleman made to avoid rust and leaks while negating the need to tilt the ice chest to get the excess water out. All of this grants the Xtreme series a 4.5/5 for quality and 4/5 for features. 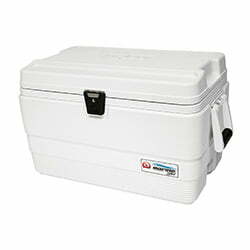 Being able to keep drinks and food cold is a major concern for any cooler owner, and Coleman takes that into consideration with its Ultimate Xtreme technology. 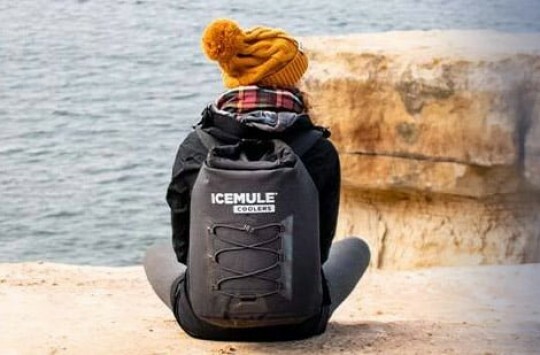 This feature provides insulation in the walls and lid so that the ice stays cold for up to 6 days at temperatures as high as 90 °F for both the Xtreme 5 and 6, granting this cooler a 4.5/5 in the insulation area. Coleman’s insulation has granted plenty of praise in online reviews, with some customers pointing out how the ice in their coolers were able to keep from melting for their camping trips over the weekend. Those who are concerned about how their products affect the environment will also gravitate towards these ice chests thanks to the ThermOZONE Insulation in the Xtreme 5 options, which doesn’t contain ozone-depleting chemicals like CFCs, HFCs and HCFCs. The Xtreme 6 options also come with low CO2 insulation in order to cut down on carbon emissions that are produced from foam manufacturing. Size options are where we begin to see some differences between the Xtreme 5 and 6 series. The Xtreme 5 comes with the following options for sizes: 52 quart, 62 quart, 70 quart, 75 quart wheeled and 100 quart (also available as 100 qt wheeled). The latter of these choices, the biggest for the Coleman’s Xtreme 5, measures 36.5 in. x 16.75 in. x 18.25 in. on the outside and 23.75 in. x 11.75 in. x 13 in. on the inside. It weighs 18 pounds when it’s empty, which means that you shouldn’t have a tough time carrying it as long as you’re carrying light. The 100 QT option can hold up to 160 cans, which is equivalent to more than six cases of soda, making it a reliable choice if you’re having a lot of people with you on your trip to the outdoors. 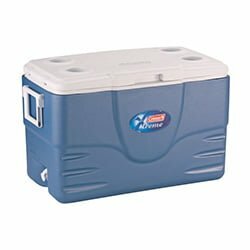 The Xtreme 6 series’ size options include an 82 quart cooler (wheeled option here) and a 120 quart cooler, giving it a slight edge over the Xtreme 5 series. The latter of these options can hold up to 204 cans of whatever drinks you bring with you, guaranteeing that no one at your get-together will go thirsty. The 82 quart option is also available with wheels. While color isn’t the first area that may come to mind when you think of functionality for ice chests, if you want your cooler to stand out from the ones that your friends bring, then you’ll be happy to know that Coleman’s options come with plenty of choices. This is another area where the Xtreme 5 and 6 start to see similarities again, with color options including blue, grey and tan for both series. These may seem like the more common color choices that you would see among ice chest brands, but having several options decreases the chances of people confusing your cooler with someone else’s. It’s important that you make sure whatever cooler you own is covered when it comes to dealing with defects that may come with manufacturing. For those who plan to purchase an Xtreme 5 or 6 ice chest, you’ll be provided a limited warranty from the date that you purchase the cooler, and it is not transferable. We recommend contacting Coleman at 1-800-835-3278 for a return authorization in case you experience a problem during your warranty period, or if you wish to learn more about the warranty. In comparison, Monoprice and Pelican come with warranties that last a lifetime, Yeti will keep you covered for five years, and RTIC Coolers provides a warranty for its coolers for up to one year. Part of the learning experience when discovering a different cooler brand is comparing it to Yeti, the top name when it comes to this field. While Yeti has gone up against plenty of newcomers in the past, being matched up with another well-known brand is a rare situation. While Coleman’s options are tough due to their design for outdoor use, this construction gives Yeti an edge when it comes to dealing with weather, animals, gravel, rocks, sand and other issues that coolers have to deal with in nature. Learn more in our Yeti review here. Size is another factor that you’ll need to consider when looking at Coleman and Yeti. While the biggest that the Xtreme 5 and 6 series have offer more space than Yeti’s Roadie 20 and some of its Tundra offerings, the latter of Yeti’s options is where Coleman begins to be challenged, as the Tundra 350, Yeti’s largest ice chest, comes with an outer dimension of 24.75 in. X 23.25 in. X 63.5 in. and an inner dimension of 16.75 in. X 17.75 in. X 54.625 in. This will make Coleman’s options easier to carry, in addition to the handle and wheels, but it also makes Yeti more suitable for carrying deer, bass and other game on hunting trips. Price is an area where Coleman has an advantage, with the 120 QT Xtreme 6 currently costs about $110-120 online, giving it a 5/5 in this field. 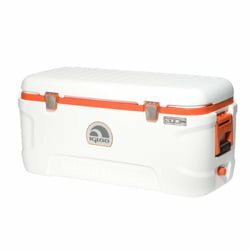 Yeti doesn’t have ice chests that are in this price range, moreover you’ll have to fork around $550 for the equivalent Tundra 125 if you plan on doing some big game hunting. 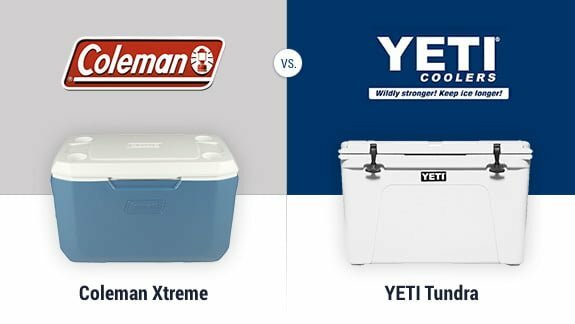 Both Coleman and Yeti are popular brands in the cooler world, and while Yeti is a reliable option based on performance, history and name recognition, Coleman has the design and features needed to get the job done well. Not super-great, but well enough in most use situations. If you’re looking for an affordable option with a variety of offerings and a construction perfect for an outdoor party, then we highly recommend giving Coleman a shot. Being a top cooler brand brings its share of competitors, one of them being Igloo’s Marine Ultra for the Xtreme 5. This opponent comes with a 4 to 5-day retention, which matches up quite well with the Xtreme 5’s five to six days and makes it a reliable option for a weekend away with no store with bags of ice nearby. 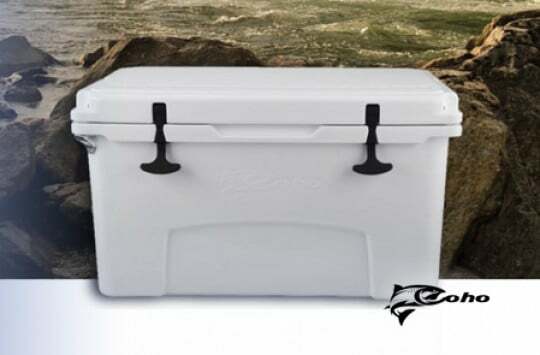 The grip handles ensure that you don’t have any issues carrying your ice chest to the party, whether its at a house, beach or campsite, but the Marine Ultra also comes with UV inhibitors to keep the sun’s rays from damaging the outside of the cooler, thus keeping the items inside in good condition. 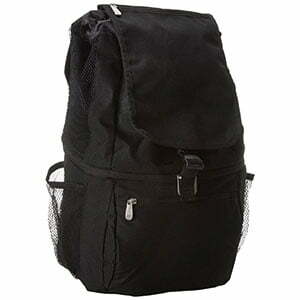 Check Igloo coolers review or check its Amazon listing here. Igloo didn’t forget about the Xtreme 6, as it also has the Super Tough STX to offer as a challenge. This one has a design that makes it as tough as it needs to be in order to handle the worst that nature has to offer, and accessories are available to make sure that everything inside is safe, secure and in prime consuming condition. 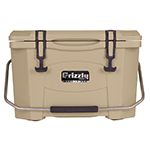 Grip side handles are included so that you have an easy time carrying the cooler to the fun spot, and the ice will stay that way for 7 days in temperatures as hot as 90 °F, making it a good match for Coleman’s offerings in the retention area. Check our Igloo Super Tough review or check it out on Amazon. 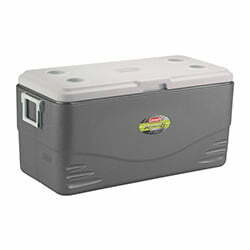 If you’re an outdoorsman and are wondering what brands can stand toe-to-toe with Coleman’s ice chests, one that comes to mind is RTIC’s 65 cooler. It’s rotomolded construction which gives it a certain advantage here. While some of the 65’s size options can match up with that of Coleman’s Xtreme series, it also has the exterior that is tough enough to keep rain, debris and other factors that could cause dents and scratches. Situations where this option can come in handy include hunting, offshore fishing, long camping trips and even parties that are crazy enough to match the experience. RTIC’s color options also match the Xtreme series, including blue, white and tan. 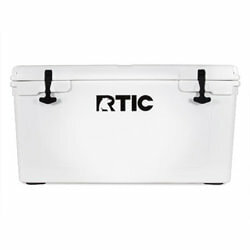 Read our RTIC cooler review and check the current price on Amazon directly. Coleman Xtreme has pretty close competitors in the form of Igloo and RTIC, with the differences between these options not being too far off. While the competitors have their advantages, we recommend figuring out what the party that you’re bringing the cooler to is going to be like, as well as prices, deals and other factors. 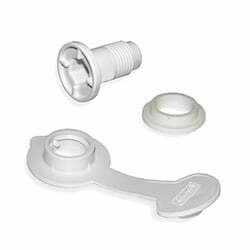 No successful cooler brand can get the job done without its share of accessories, one of those for the Xtreme 5 and 6 being the drain plug assembly for getting rid of excess water. This one will cost you $7.74, which shouldn’t be too much of a problem for having to buy a separate item for the cooler. The 1.5-in. 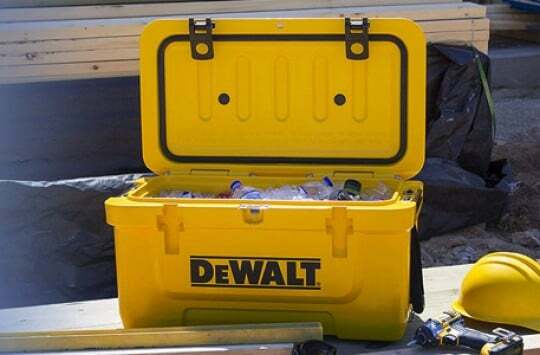 shaft works with the 50, 58 and 82 QT ice chests, so make sure you pick the right cooler for this assembly. If you’re concerned about your cooler staying put wherever you put it, whether its on a log in the woods or a boat on the lake, then we recommend getting Coleman’s tie-down kit. 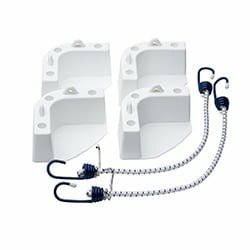 This $14.30 option comes with four corner brackets and two tie downs that include stainless steel hooks and 12 screws to make sure that your cooler isn’t going anywhere. Not every ice chest brand provides a cushion for you to sit on the cooler in case you just finished a long hike in the woods or all of the chairs at the party are taken, but luckily, Coleman is one of those that do. 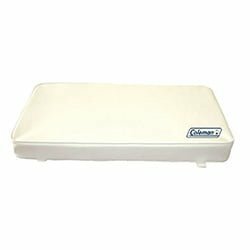 This Coleman Cooler Cushion, priced at $107.79, is definitely not the cheapest of these accessories, but it is designed for a comfortable sit. Designed for the 150 and 200 QT options, the cushion uses buckles and fastening tape to stay on the cooler, ensuring that you won’t be shifting around while sitting down. Coleman Xtreme Coolers for Sale – Where to Buy? When it comes to looking for a reliable spot for buying coolers, then we suggest going to Amazon to get your hands on Coleman’s Xtreme ice chests, as it has a great track record for helping people find basically anything. This website has plenty of reviews from actual customers (here) that can serve as reliable second opinions in case you’re not too sure about which cooler suits you. You’ll have an easy time returning your cooler in case there’s a problem that keeps it from performing as well as it could. If you’re a Prime member, then you’ll be able to enjoy free shipping and other benefits. 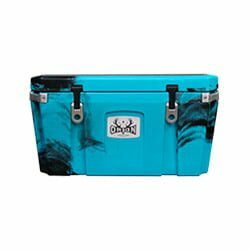 Coleman has what you need when it comes to finding a cooler that keeps your drinks and food in good shape for a fun time at the beach or in the woods. The Xtreme series comes with a design that can handle the worst that nature can throw at it, and the ice will last long enough to keep your beer and soda cold for the whole weekend. If you have a trip in a sunny spot in nature coming up, then see what Coleman’s Xtreme coolers have to offer for a good time. Coleman has what you need when it comes to finding a cooler that keeps your drinks and food in good shape for a fun time at the beach or in the woods – and without breaking your budget. If you have a trip in a sunny spot in nature coming up, then see what Coleman’s Xtreme coolers have to offer for a good time.